The author firmly believes in Romans 10:17 faith cometh by hearing and hearing by the word of God. When the Bible is read, faith for giving will be born in the hearts of the hearers. As this happens people will give out of a heart of obedience to the Word of God. It is this kind of giving that God responds to with abundant blessings in the life of the giver. If we want to see the Kingdom of God advanced, and Gods people experiencing financial blessings, then it is the duty of Pastors, as stewards of the Word of God, to share faithfully Gods principles of giving. 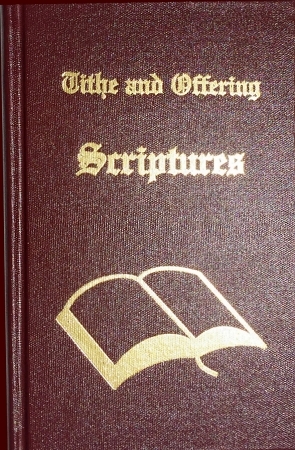 Each of the individual books contains 52 different giving Scriptures. Combined into this one book are all five books with a total of 260 different giving Scripture Outlines; enough for 5 years! All five books below are part of this one book.